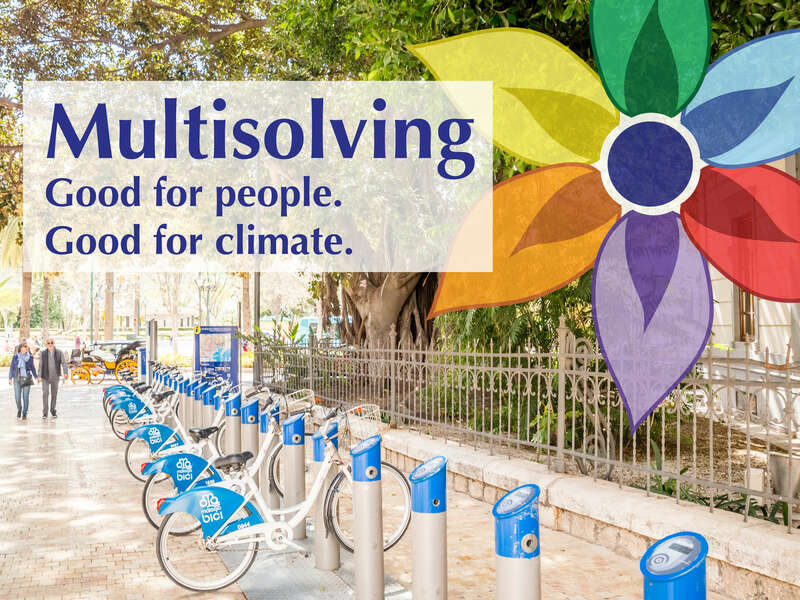 In addition to our work helping communities around the United States to multisolve, our development of tools to help multisolvers, and our library of multisolving examples, we are researching different aspects of multisolving: global case studies on multisolving for health and climate, and tracking the actions of the US cities and states who have pledged to follow the Paris Climate Agreement. REPORT: Multisolving at the Intersection of Health and Climate – Around the world, solutions that both limit climate change and improve public health are being put into practice. We have analyzed ten case studies to find what worked and what the barriers were, in order to inspire more leaders to view climate interventions through a health lens, and health interventions through a climate lens. You can find other writings on multisolving in our blog.